I love music – all kinds of music (not particularly fond of the red neck stuff – but even that I can take in doses). I love to sing too. Unfortunately, I am not all that good at it. It’s kind of like when people ask me if I am a golfer; my common response is that I love to golf but I would not call myself a golfer. The reason I bore with you with these little tidbits of information about me is this: I have agreed to sing a song during our Tenebrae service next Friday as part of our Holy Week activities. Yikes! We are entering into Holy Week. This is a time we set aside each year to stop and think not only about the cross and the sacrifice – but why it was necessary. Richard Niebhur said there would be no Christianity without the cross. I think he was right. It was for us Jesus died. We need to live with that fact this week. So who put Jesus on the cross? I did . . . and so did you! Do You Really Need a Savior? Why does God offer us salvation? Are we really that bad off? Do we need to be saved? The world would tell us that we are OK – that we can save ourselves. Or worse yet, that we don’t need salvation. The Bible teaches us differently. It explains that we all have a sinful nature and that nature shows itself in the way we live. We, by nature, want things our way. Often, it is not that we adamantly want to go against God, but rather we simply want to have our own way. While this seems harmless enough, if we are to be seeking to honor God but we choose to live otherwise, then we are not living as we were created to live. If our lives are all about us, then yes, we need salvation. If the Bible is not proof enough, look around. The reality of a sinful, selfish world is inescapable. I am one that chooses to believe that there is something good in all people. But my experience shows me that all of us make bad choices that put us on paths that lead us farther and farther away from God. We make those choices because we are inherently selfish. Regardless of how good we think we are, at the heart of all of us is a rebellious streak and because we have all chosen to rebel at different times in our lives, we need a savior. We are in the fifth week of Lent. Our focus is on Jesus – his sacrifice, his life and his death. It should also be on our sin – our rebelliousness. It is our sin for which Jesus died. It is my life he came to save. And I am forever grateful and indebted! Last week I mentioned that I have the opportunity to speak to a group of pastors and church leaders at a social media workshop today. I asked for your help in defining the impact this ministry of Clay In The Hands has had in the lives of the readers. I have to tell you, as I have read all the emails and comments, I have been overwhelmed and humbled by how God is using my feeble attempts to communicate life in the Way – this journey that we share. As I have continued to think about the presentation for the workshop and more importantly, why this ministry has become a part of my daily life – one thing stands out regarding impact. Connection. The fundamental reason that I take up room in cyberspace is to create a platform by which to connect with people. Through the comments I received last week, it would appear that connections are being made. 1) Some days, it just doesn’t happen! There are times that, regardless of how hard I try, the words just don’t come. 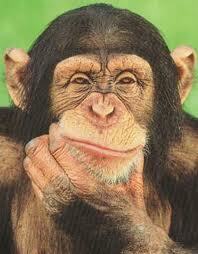 That’s OK.
2) Regardless of what I think of the post, God can use it in ways I never considered. 3) People are looking for transparency with integrity – we all need to know we are not alone on this journey. In many ways, Clay In The Hands is my own personal spiritual journal. It is a place I can work through things and share some thoughts for the trip. It is also a place to connect with others who are on the same path – some a little further down the road and some just getting started. We are all in this together as believers. We need each other! Where is your center today? You might look at your midsection and say well – right above my naval. But that is not the center to which I am referring. What I am asking is where your focus today? At the heart of who you really are – deep down – that place that defines you as a person. Our hearts are the center of our being – that place that only you and the Other enter. Those closest to us know it is there and may have even seen glimpses of it, but they have no idea what all goes on there. That is the part of you I am asking about today. Where is your center – your heart – today? Only you can answer that question. I can tell you where God would like for it to be; at rest and at ease in the very presence of God. Just as you long for the constant swirling and pulling to subside within you – God desires it more. Get up and find a quiet place – maybe it is simply closing the door to your office. Sit still with both feet on the floor and your hands rested in your lap. Close your eyes and humbly ask God to clear your mind and fill your heart. Focus briefly on your breathing and then turn your focus to Jesus. Close by asking God to stay with you throughout this day. Give this a serious 5 minutes and see what it does for your focus. With God at our center all else becomes more clear. I have the opportunity to speak at a social media workshop next week. My part will be to speak to the use of blogs and Twitter in ministry. It has had me thinking for the past couple of weeks as to my motivation for offering up my ramblings 3 or 4 times per week here in this format. This platform has never been about self-promotion it is about connection and relationships – at least that has been my hope. So I had this idea, and it is going to sound like a complete contradiction to my last sentence. In fact, I have struggled with this idea and prayed through it and still feel it just smacks of looking for ego stroke – but that is the last thing I want. Quite honestly, I feel that God is using this ministry to touch folks – but it is difficult to quantify that belief. So here is my request – would you consider emailing me or leaving a comment here on this post or on Facebook or Twitter as to how Clay In The Hands has touched you? I am not looking for an ego boost – even though it sounds like I am. I am simply trying to gather examples of how this effort has made a difference. I humbly look forward to hearing from you. 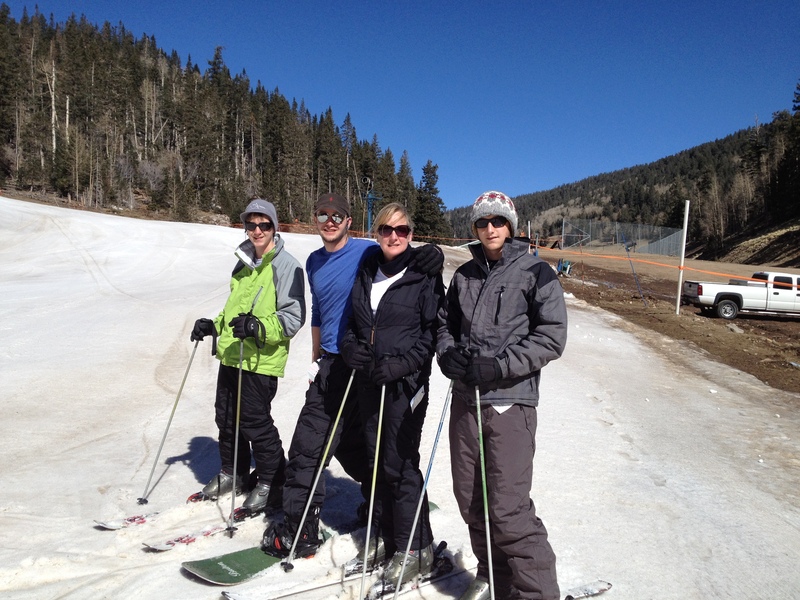 This past week was spring break in our area, so we decided as a family to head to New Mexico for a little skiing. I took a day of vacation and we headed to the slopes. Our three boys are teenagers, so the drive was pretty quiet – each with their own headphones plugged into their favorite music. But once we hit the slopes, we had a blast. It was so good to be together as a family doing something we all enjoy doing. The boys had a great time – and except for one dislocated collar bone, we had a relatively safe time. Our time gathered around the back of the car eating lunch in the parking lot was filled with talking about our favorite runs and what we were going to go do next. We laughed and genuinely enjoyed being together. Now that the boys are older, unfortunately, those kind of times are fewer than they used to be but they are no less meaningful. In fact, I think I cherish them more. Family is so important. Don’t take yours for granted. Take some time today and remind each person in your family just how important they are to you. You’ll be glad you did. We are in the midst of spring break in our area. It is a time of year that our school calendar dictates the rest of the community, even if you don’t have kids in the school system. Many people take their families and get out of town. It is a time to get away and hopefully rest. All of us need time to get away. We need to take time to step back and refocus. In the Gospels we see that Jesus set aside time to get away as well. Let me encourage you today to take some time and just sit and rest in God over the next few days. Let God speak to you and speak into you. Refresh and refocus. It will make all the difference.